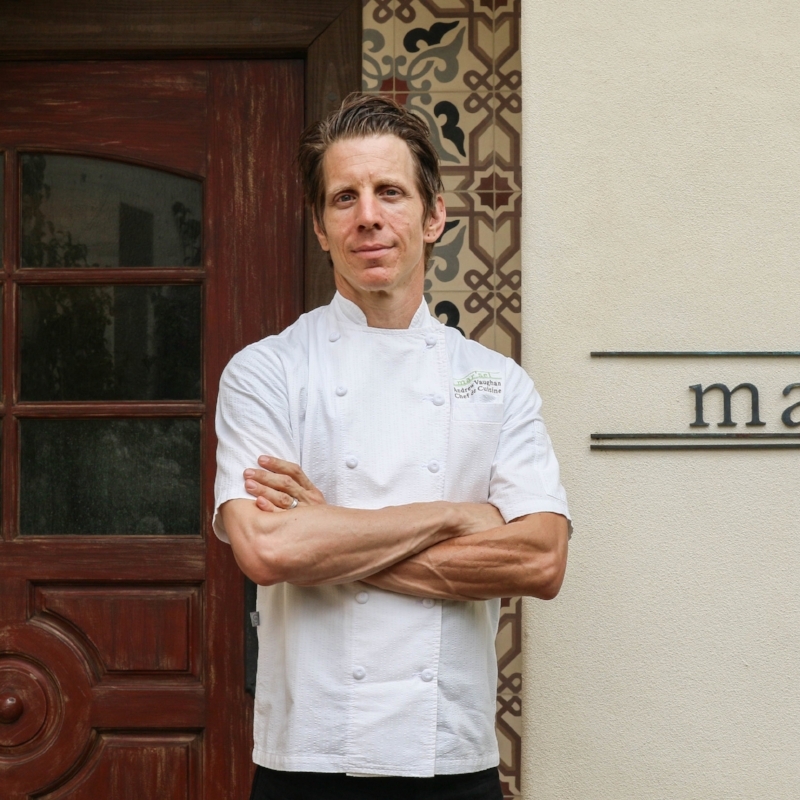 Chef de Cuisine Andrew Vaughan oversees mar'sel, the resort's signature restaurant, and one of LA's top dining destinations. A Louisiana native, Vaughan hails from two of the most iconic restaurants in the nation, working alongside Emeril Lagasse at NOLA in New Orleans and Daniel Boulud at Restaurant Daniel in New York. Most recently, Vaughan served as an integral part of Terranea's culinary team, serving as the Chef de Cuisine for Nelson's, as well as masterfully executing VIP Dinners for the resort and aiding the development and execution of the successful Chef's Table Dinner Series, which showcases the resort's renowned "farm-to-Terranea" cuisine, alongside featured wines, to benefit a select charity. Under Vaughan's leadership, the mar'sel menu exhibits a strong focus on the respect for culinary tradition and technique. Vaughan collaborates with local fisherman, ranchers and farmers to source local and sustainable ingredients to complement what is growing in Terranea's hilltop garden and in the mar'sel garden. Seasonal menu selections include: Oregon morel mushrooms on brioche toast with pea tendrils, fava beans, pickled onions and Meyer lemon ricotta; a salad with Harry's Berries from Gaviota, Maggie's Stellar greens and toasted pistachios; Branzino with creamless creamed corn, lemon confit, fiddlehead ferns, and local mushrooms; and a mixed grill of lamb loin and duck breast with fregola, caramelized fennel, cabrales, and rosemary.